When we stumbled across this brand new Huawei P30 deal we had to double check the price...and then triple check it, because there was just no way it could be this cheap. 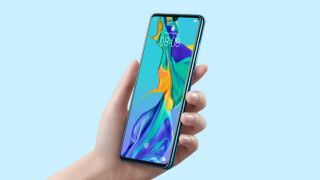 But after some head scratching and gasps we can say for certain that this Huawei P30 offer is irresistibly affordable. How cheap exactly? Well let us lay it out for you. It comes in at a total spend lower than the device's own SIM-free price, cheaper than the best Samsung Galaxy S9 deal, Apple's iPhone 8 deals and cheaper than a OnePlus 6T deal, a phone with the key selling point of being affordable. What we're trying to say is that this high-end 2019 phone is somehow cheaper than three phones that came out in 2017 and 2018 and have fallen in price. Now you can understand our head scratching. Enough praise, how much does this deal cost? Well with the aid of our exclusive voucher code 10OFF you will only have to pay £65 upfront and £26 a month, with a data cap of 5GB (click here to get it) - see, we told you it was good! So if this offer has got you excited to own a Huawei P30 deal (and we really can't see how it hasn't) then scroll down to see this contract in full. You can compare it against the best offers out there on our mobile phone deals page but spoiler alert...it's hard to beat.